The first publicly available version was numbered v.0.3. and it was released on October 6th, 2013. Main window of the app was a MDI form with only a couple of options: File, Tools and About. I'm still a fan of old-school MDI windows, and still think this was probably the best design that we ever had. Pictured is the tools menu. The initial version (0.3) had only the first two options, but we added more and more with each release. 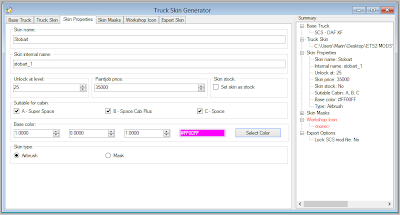 SCS archive extractor was just a simple user interface that used SCS Software's own extractor command line tool to do the work. Simple tool to create workshop icons, as many mods missed them back in the day. 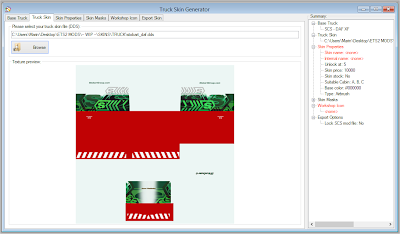 Later, the tool was expanded with and "overlay" option and the "default icon" template. A simple two-way tool to convert between SCS and RGB color spaces. This was the bread and butter of E2S: Standalone trailers tool and Truck Skin tool. Initial version had only the trailers tool and only 2 trailers at that. That's actually why I made E2S: I was not happy with 'replacement' trailer skins as I believe mods should add content and not replace it. 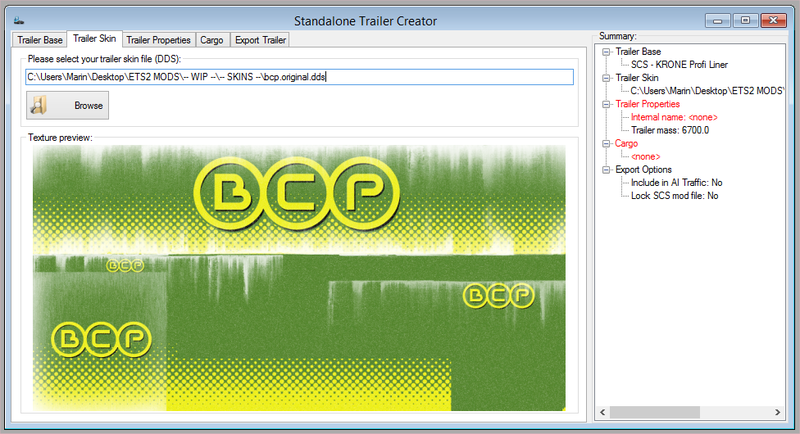 On the other hand, making standalone trailers was a painstaking process. Two main types of projects in v.0.4 - the idea was to add more with each release. Unfortunately, when we created a brand "new" UI (around v.0.5.0.6, I think) - we limited ourselves to these two + variable editor. In retrospect, a bad move. 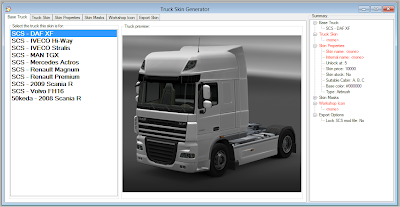 Truck skin tool offered all SCS trucks and 50keda's 2009 Scania R, the most popular mod truck of the time. 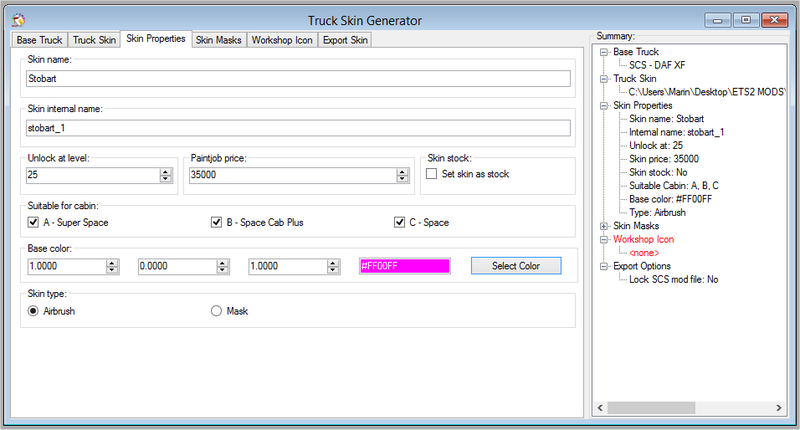 (Later, we added option to add mod trucks). All of the tools featured validation (Right side of the window), that showed the user what they are missing for a working mod. I still am proud of the design and functionality of our first ETS2 Studio. First E2S was built using Visual Studio and was coded in C#. All of the UI was done in Windows Forms, and as the title says - it was Windows only. We used some external libraries to convert PNG to DDS, zip/unzip files and such. 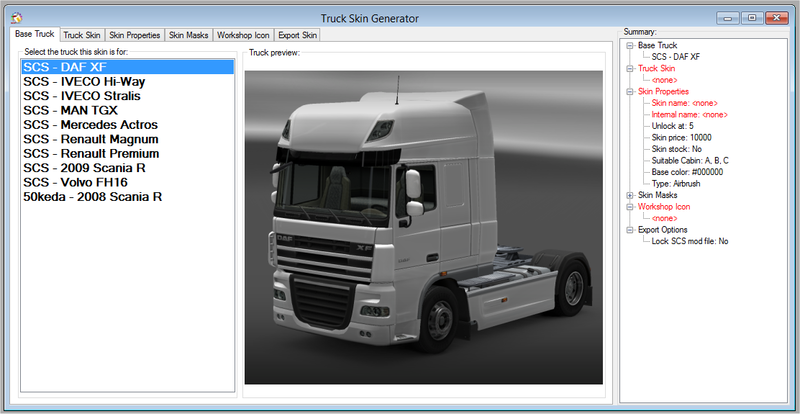 Also, we used SCS Software's own tools (extractor), and some base files for the trailers. Next post will deal with the Mods Studio version that most of you know and have used for a long time, and after that, we'll get into the under the hood things of the upcoming Mods Studio 2.0. Click on the image to visit our Steam store page! Support our projects by buying and playing our games on Steam.